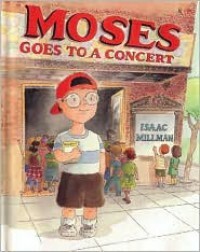 In Moses Goes to a Concert, Moses and several of his classmates, all of whom are Deaf, have the opportunity to go on a field trip to a children's concert. While they are there, Moses learns an important lesson about aspirations and goals in life. The text in the book is accompanied by small American Sign Language lessons, allowing readers to try signing for themselves. 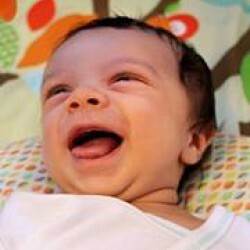 Accessibility options for the Deaf children are also addressed, along with ways that the experience can be made better for them. Moses' story is told in a simple fashion, introducing young readers to a small part of the Deaf culture in an interesting way. This is the first of several books about Moses, all by Isaac Millman.